Huawei's CFO "should not be a hostage" in Sino-US relations, her lawyer said on Tuesday, after the United States announced criminal charges against herself and the Chinese firm just days before crunch trade talks with Beijing. 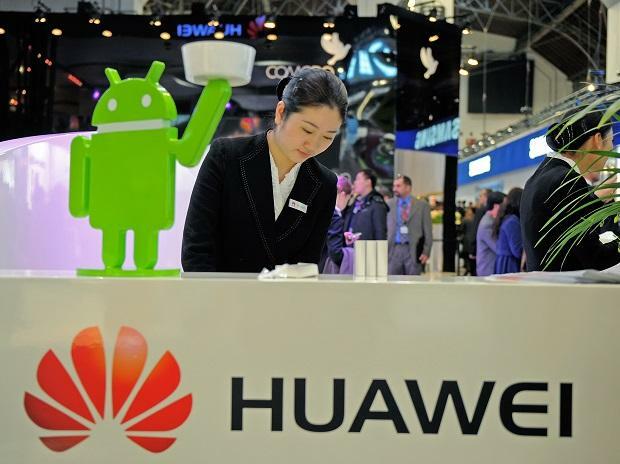 The Justice Department charged Huawei Technologies Co Ltd and its chief financial officer with conspiring to violate US sanctions on Iran by doing business through a subsidiary it tried to hide and that was reported on by Reuters in 2012 and 2013. CFO Meng Wanzhou, the daughter of Huawei's founder, was arrested in Vancouver on Dec. 1, a move which was followed by China arresting two Canadians on national security grounds. She is scheduled in court on Tuesday to discuss her bail terms and is subject to a US extradition request. Her lawyer Reid Weingarten, partner at Steptoe & Johnson, pointed to "complex" Sino-US relations. "Our client, Sabrina Meng, should not be a pawn or a hostage in this relationship. Ms Meng is an ethical and honourable businesswoman who has never spent a second of her life plotting to violate any US law, including the Iranian sanctions." Huawei said it had sought to discuss the charges with US authorities "but the request was rejected without explanation". It said it "denies that it or its subsidiary or affiliate have committed any of the asserted violations" and "is not aware of any wrongdoing by Ms Meng." China's foreign ministry urged the United States to drop the arrest warrant and end "unreasonable suppression" of Chinese companies. Spokesman Geng Shuang also said China had issued stern representations to both Canada and the United States after the US formally issued its extradition request for Meng. Canada's Justice Minister has 30 days from receipt of the request to decide whether to grant authority to proceed. If granted, Meng's case would be sent to the British Columbia Supreme Court for a hearing, which could take weeks or months. The development is likely to upset talks between Beijing and Washington this week as part of negotiations intended to walk back trade tensions between the globe's two largest economies. US President Donald Trump said in December he could intervene in Meng's case if it would serve national security interests or help close a trade deal with China. US Commerce Secretary Wilbur Ross said the charges are "wholly separate" from the trade negotiations. Its global reach has come under attack from the United States, which is trying to prevent U. S. companies from buying Huawei equipment and is pressing allies to do the same. US security experts are concerned the gear could be used by China's government for espionage - a concern Huawei calls unfounded. Australia and New Zealand followed the US lead in restricting market access over the past year. On Tuesday, TPG Telecom Ltd canceled the Huawei-based mobile phone network it was building, in the first commercial casualty of Australia's move. Huawei nevertheless said it is the world's leading provider of 5G technology, winning 30 contracts globally - more than any of its competitors - including 18 in Europe. It is unclear how the US charges would impact its business. Last year, Chinese peer ZTE Corp was prevented from buying essential components from US firms after pleading guilty to similar charges, crippling its operations. US Acting Attorney General Matthew Whitaker said the alleged criminal activity at Huawei "goes back at least 10 years and goes all the way to the top of the company." The charges against Meng and Huawei cite the Reuters stories that said Huawei's Skycom unit sought to sell goods to Iran. The indictment noted that denials from Huawei in the stories were relied upon by financial institutions "in determining whether to continue their banking relationships with Huawei and its subsidiaries." The indictment featured a meeting in August 2013 between Meng and an executive from an unidentified bank. Sources told Reuters the bank is HSBC Holdings PLC, which paid $1.92 billion in 2012 for violating U. S. anti-money-laundering and sanctions laws. Also according to the indictment, in July 2007, the FBI interviewed Huawei founder Ren Zhengfei and U. S. authorities said he falsely told them Huawei did not violate US export laws. FBI Director Christopher Wray said the Huawei cases, filed in New York and Washington state, "expose Huawei's brazen and persistent actions to exploit American companies and financial institutions, and to threaten the free and fair global marketplace."